We either build our own operational platforms to manage our investments or we strengthen our partners capacity to implement projects we finance. Most often, our on-ground partners are NGOs, however, invariably we favor business-like relationships though commercial incentive-based arrangements operating under revenue models that assure financial sustainability. Nearly 3 billion people in the world use traditional cookstoves or open fires using solid fuels. We are a leader in the movement to promote adoption and use of cleaner, healthier, more efficient improved cookstoves (ICS) focused especially on rural and peri-urban households. Using social impact investment resources and carbon financing, we work with our on-ground partners and through our own operational platforms to distribute cleaner burning more efficient Cookstoves and improved kitchen ventilation to base-of-the pyramid households. Reducing deforestation and land degradation and supporting conservation agriculture by integrating efficient stoves that burn small diameter branches and stem-wood from nitrogen fixing trees on farm into a sustainable farmer livelihoods and food security strategy. Improving maternal and child health and wellbeing by reducing exposure to toxic substances and particulate matter (PM 2.5) in biomass smoke. Reducing drudgery for women and girls through reducing or eliminating the need for gathering larger diameter firewood for three-stone fires kilometers from their own villages, freeing up time to use according to their own preferences. Mitigating climate change through reduced greenhouse gas emissions, including from unsustainable harvest of woody biomass, avoided black carbon and methane emissions from inefficient open fires. Reduces household expenditures for firewood in urban areas 50%-80%. Reducing demand on natural forest in and around agricultural landscapes by making efficient the combustion of small diameter twigs, branches and crop residues that are not suitable for three stone fire cooking. Reducing the time spent by women and girls gathering firewood, freeing up time for their preferred activities, including for attending schools, health clinics and small-scale income earning activities. Reducing the incidence of child pneumonia which is amongst the largest cause of infant mortality in Africa, caused mostly by biomass smoke exposure in poorly ventilated spaces. Women cooking over an open fire have exposure to pollutants the equivalent of smoking two packs of unfiltered cigarettes per day. Over its 5-7 year lifetime, an improved cookstove supplied by CQC in rural Africa saves more CO₂ than taking a car off the road in the USA for a year. Lowers overall greenhouse gas emissions by 60-80%. We have been working since 2012 on the development of a suite of women’s and children’s health and wellbeing products to be presented to development impact financiers, public and private, for procurement under payment on delivery schemes as part of a growing trend towards results-based-financing and support for UN Sustainable Development Goals. We conceived of a forward market for health outcomes, measured as Averted Disability Adjusted Life Years (ADALYs) from the use of clean cookstoves and improved kitchen ventilation to increase investment in cleaner healthier cooking for families dependent on open fires using woody biomass fuels and inefficient biomass stoves for cooking and heating. To test this market vision, at the World Bank’s invitation in 2012, we joined the World Bank as an advisor and project manager for a “proof-of-concept” study in Laos PDR to determine if super clean cookstoves provided a cost-effective solution to reducing the burden of disease from inhaling the smoke of open cooking fires. Working with UC Berkeley’s Kirk Smith, leaders of Berkeley Air Monitoring, SNV Laos, the Laos Institute for Renewable Energy, Geo-Sys, under the guidance of the Inter-Ministerial Committee on Cookstoves, we oversaw a rigorous assessment of the acceptability of forced draft “gasifier” stoves in rural households in Savanakhet Province. The results showed the stove to be strongly accepted by Laos women in terms of improved amenity in cooking, and that household air pollution was reduced by 75% from their sustained use. Using measures of personal exposure of women cooks before and after the super clean stove intervention, the resulting ADALYs was shown to be a cost-effective means of reducing the burden of disease from household air pollution, purported to be the single biggest cause of death and disability in Laos by Global Burden of Disease Assessments. ADALY’s are expected to cost of the order of GDP per capita from large scale super clean stove distribution and sustained daily use. In 2014, CQC encourage, and raised funds for The Gold Standard Foundation (GS) to develop an ADALY Methodology for quantification, verification and issuance of ADALYs from cleaner burning stoves and improved kitchen ventilation. CQC helped to supervise the design of this methodology and participated in its expert committee. The GS ADALY Methodology was published late in early 2017. However, over the past two years, our experience has led us to conclude that it is impractical to deploy fan-assisted gasifier cookstoves in remote rural areas at scale for the purpose of achieving sustained health improvements compared with open fire cooking. It is simply neither affordable nor manageable to build after sales service capacity. Moreover, we believe two such stoves are required per household to avoid falling back on three stone fires for a significant portion of the time, cancelling out much of the health benefit of the cleaner cooking technology. Finally, the additional time needed to chop up wood into small pieces to use in these top loaded small diameter chamber stoves is itself an important barrier to their use. Instead, we believe that chimney stoves with limited fugitive emissions from the stove top and firebox can radically reduce PM 2.5 exposure by cooks and infants and constitute an affordable and practical solution to reducing the burden of disease and disability arising from open fire cooking in rural households across the developing countries. These stoves are well established in some countries. In Guatemala and Mexico, chimney planch stoves of the ONIL design reduce HAP to levels comparable to LPG and within WHO standards. Accordingly, CQC is focusing on chimney stoves in Central America, working alongside HELPs International, the manufacturer and distributor of the ONIL stove. In addition, we are designing our own long life, high efficiency stoves in India, and demonstrating the use of chimneys built over our efficient brick and steel stoves rural Africa. In both Guatemala and Malawi we have plans in 2019 to monitor and verify, if not actually issue ADALYs into registries following the Gold Standard ADALY methodology we helped develop, All such projects will generate carbon credits, and wherever possible we will measure hours saved for women and girls from the drudgery of firewood cutting and gathering. Likewise, we will attempt to record the incidence of child burns in the baseline and in the intervention case. In support of these objectives, CQC is also working on a new SDVista methodology to quantify “drudgery reduction” measured as hours avoided collecting firewood outside the village community and cooking over smoky open fires. 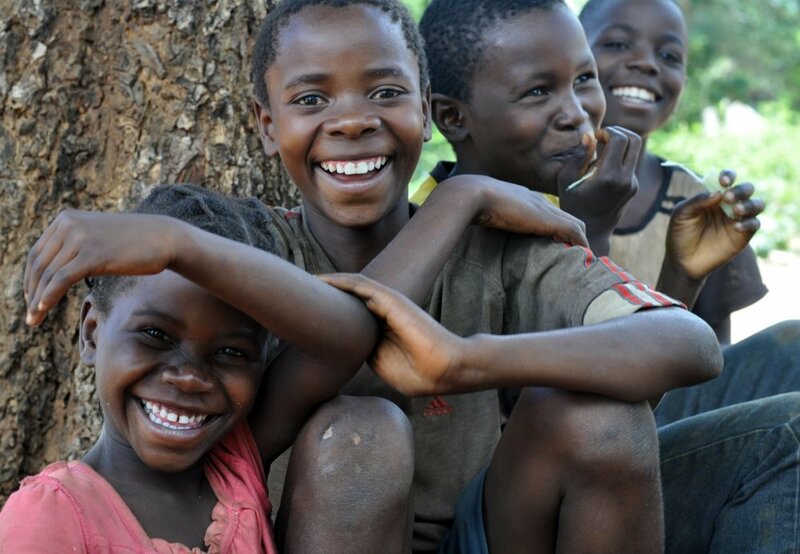 This BBC News Service report provides insights to the importance of super-clean stoves in Malawi where we have our largest stove projects in Africa to date. Three billion people worldwide depend on open fires and inefficient traditional stoves for cooking with catastrophic consequences to health, the environment and household economics. 4 million deaths each year due to household air pollution. 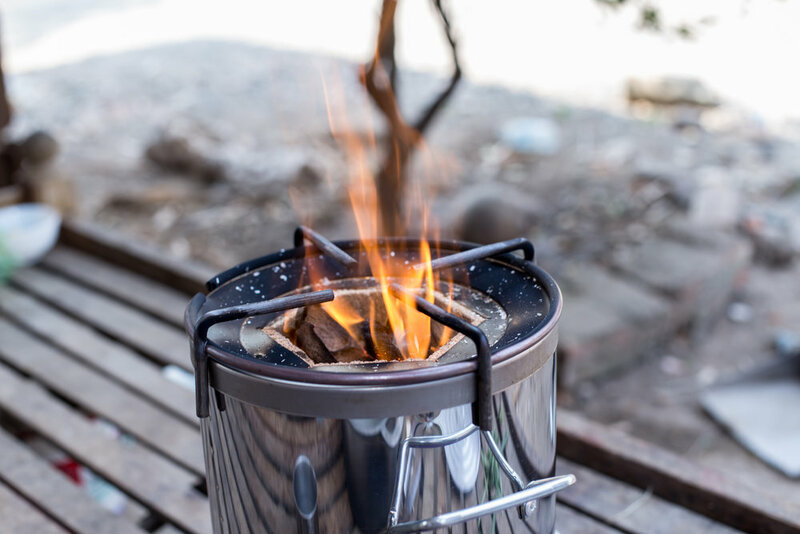 More efficient imported portable metal wood-burning cook stoves are widely available but are often too expensive for rural households in developing countries. We have dramatically lowered the cost of high efficiency cleaner burning firewood stoves over the past 8 years by adding durable steel parts to the innovative brickwork designed by Trent Bunderson of Total Land Care a decade ago. We have refined the design of steel parts and improved training though 7 iterations of improvements to enable cooks to keep their stoves operating well for 7-10 years. There are now hundreds of thousands of these stoves in use in Malawi and Zambia. Our current investment program is to add 500,000 more over the next 2.5 years, through mid 2021. In 2012, faced with the collapse of the European compliance market, and loss of a revenue base to funds clean efficient cookstoves, CQC floated the concept of a forward market for improved health outcomes based on the health benefits of cleaner burning Cookstoves, and cleaner kitchen air in developing countries. The proposed salable product is Averted Disability Adjusted Life years (ADALYs), or the addition of a year of healthy living, a metric established by the World Health Organization. The Global Burden of Disease Studies of 2010 later confirmed that of the order of 4 million people, the majority women and children, suffer serious disability and die prematurely every year from exposure to high levels of biomass smoke caused by indoor cooking over open fires. The World Bank East Asia and Pacific Region invited members of CCQ’s team to design and supervise a demonstration project in the Lao PDR to test proof of concept that cleaner burning cookstoves and improved ventilation could be a cost-effective means of reducing the burden of disease in the developing countries where cooking with solid fuels was still widely practiced. Why Lao PDR? The Global Burden of Disease assessment for Laos show that household air pollution is the largest cause of death and disability in Laos where persistently over 90% of the population cook on crude wood and charcoal burning stoves or over open fires indoors. Super clean forced draft “gasifier” stoves or very high efficiency natural draft stoves are now commercially available at scale, creating an opportunity to dramatically improve child and maternal health in Laos and similarly afflicted communities while creating a salable health product. Professor Kirk Smith and colleagues at University of California, Berkeley, developed analytical tools to determine the cost effectiveness of clean stove adoption as a means of reducing the burden of disease. These were applied in the Laos study and results demonstrated the economic viability of cleaner cooking to reduce the burden of disease from exposure to toxic particulate matter (PM 2.5) from smoke inhalation. CQC solicited support from and raised funds for The Gold Standard to sponsor a methodology to verify improved health outcomes from cleaner cooking and improved kitchen ventilation using the ADALY metric. CQC co-managed the methodology preparation process and contributed expert advice.The final draft of this Gold Standard methodology was published in February 2017. CQC designed a 50,000 superclean project for Laos to be financed against forward purchase agreements with health focused donors and philanthropic organizations. This project has not proceeded to date due to lack of ADALY buyers. In 2017, CQC partnered with Korean investors to design and implement a 100,000 improved cookstove program to generate carbon credits to meet compliance obligations of regulated entities in the Korean greenhouse gas emissions reductions compliance market. This project is expected to proceed to implementation during 2018. We have developed, funded and are the Coordinating and Managing Entity for a Programme of Activities to market improved charcoal stoves in Haiti, collaborating with Chemonics as part of a contract for an improved cooking technology funded by USAID. The Chemonics partnership extended from 2013-2015, and the CQC designed PoA was registered in 2016. The PoA is focused on improved efficiency charcoal stoves in Port au Prince. Each stove eliminates about 1.5 to 2.0 tons of CO₂ per year. Haiti loses 10 tons of wood for every ton of charcoal produced for the urban market. 94% of the Haitian population (or 9.2 million people) rely on charcoal or wood for cooking. Haiti has lost 98% of its forests. Haitians spend 20-30% of their income to purchase inefficient charcoal-burning stoves and the charcoal used in them. Very few of the charcoal stoves that are sold in Haiti last more than a year; many have to be replaced in less than six months. However, the adoption of higher quality improved local and imported charcoal stoves is negligible. On the other hand, the economic, environmental, and social benefits of stoves that are two to three times more efficient than traditional metal braziers are far greater than the difference between what consumers will pay and what it costs a funder to provide them with the best available charcoal cookstoves. The majority of Guatemalan households continue to cook their meals in the traditional way - on a three-stone fire in an indoor or outdoor pit or concrete platform. These open fires cause respiratory problems and burns, and because they are so inefficient, the high demand for fuel to supply them contributes to deforestation locally. 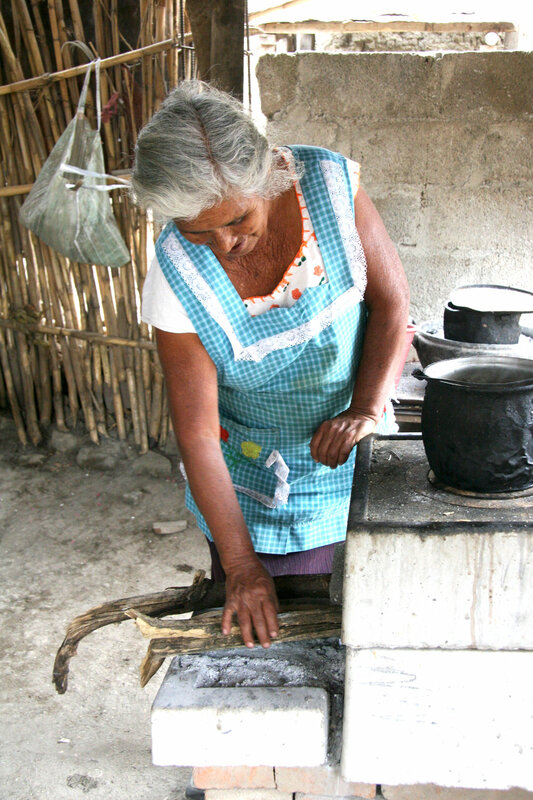 CQC is working with HELPS International to use carbon finance to increase market share of the high-efficiency ONIL cookstoves throughout Guatemala. By the end of 2018, CQC and HELPS had partnered to verify and issue 311,000 carbon credits from that part of the HELPs stove fleet registered under the CDM Program of Activities that CQC designed with HELPS and had validated and registered in 2012. In October 2017, CQC and its Korean investment partners launched a 100,000 3 year ONIL cookstoves investment program to deliver high development impact CERs into the Korean compliance market. This project has undergone its first CDM verification to test CER to KOC conversion for the Korean compliance market. The underlying project has reached the required rate of installation to achieve its target stove population within 3 years. Each modern ONIL stove eliminates over 4 tons of CO₂ per year. HELPS International HELPS is a Texas-based NGO committed to assisting the rural population of the developing world through education, healthcare, economic development and home transformation utilizing ONIL products. HELPS International’s first program was in Guatemala in 1984. Today, HELPS also operate in Nicaragua, Honduras, and El Salvado. Rural and indigenous people in Mexico have traditionally cooked their meals inside, using a three stone open fire with a metal plate for cooking tortillas. Today, the most disadvantaged households continue to use these open fires for cooking. They cause respiratory problems and burns, and because they are so inefficient, the high demand for fuel to supply them contributes to deforestation locally. We are partnered originally with HELPS International and more recently with Fuego Limpio when HELPS left Mexico, to support maintenance and construction of provide high-efficiency plancha style cookstoves to families in rural Mexico using either the original ONiL design or a version of it. Each stove is expected to eliminate about 3 tons of CO₂ per year, depending on the model and state of repair. Fuego Limpio (FL) become CQC’s partner for stoves constructed in Mexico after January 1st, 2015 when HELPS International withdrew from the bulk of the Mexican market. FL manufactures a high efficiency plancha stove in Mexico for the local market. CQC and FL collaborate to verify and achieve issuance of VCUs for the voluntary market in Mexico and internationally and in 2019, CQC will begin a long-term program of stove restoration to extend the life of the stove fleet. In 2011 CQC partnered with Community Markets for Conservation (COMACO) to implement improved cookstoves projects in Sub-Saharan Africa. In 2013 CQC won a contract with KfW’s Future of the Carbon Markets Foundation to undertake a 50,000-stove project with COMACO. This project was successfully completed in August 2016 and by November 2018, CQC had paid back the KfW Foundation its original investment in CER equivalents. The stove distributed to smallholder farmers in the Luangwa Valley in East Zambia was the second generation of the TLC Rocket Stove (TLCRS), a stove based on innovative brickwork by Total LandCare with metal parts added at CQCs instigation to make the stove more efficient and less smoky. The stove has been widely adopted in the COMACO service area and many lessons have been learned on design for durability through the initial 50,000 stove project. CQC applied these lessons learned to a fleet of 10,000 stoves in 2017 as a pilot with COMACO financed by the FivePoint Corporation of California and Generation 7 of these stoves have been built under a second FivePoint project of 25,000 stoves two thirds implemented as of January 2019. The 10,000 stove pilot successfully tested new forward crediting methodology for the California Climate Action Reserve (CAR) to deliver carbon credits into the Californian market to meet emissions reductions obligations imposed on housing estate and building developers under the Californian Environmental Quality Act (CEQA). Ongoing FivePoint investment is to generate a significant portion of the emissions reduction obligations it has entered into to make city of Newhall Ranch it is developing carbon neutral. A special double pot version of the advanced TLCRS was installed in a single village in Petauke region, Zambia to offset greenhouse gas emissions of some of the participants in the 2017 Burning Man festival. CQC expanded this initiative with Burning Man in 2018. Community Markets for Conservation or COMACO was launched in 2003 by the Wildlife Conservation Society of New York (WCS.org), the global arm of the world-famous Bronx Zoo, to pioneer innovative ways of preserving biodiversity, saving wildlife habitat, reducing hunger, and increasing farmer incomes. In exchange for farmers using improved forest and agriculture land management practices, COMACO pays them premium prices for farmers production of groundnuts, maize, soybeans and honey, marketing the products to urban consumers and regionally under the “It’s Wild’ logo. COMACO now has a membership of over 174,000 farmers across Zambia’s Eastern Province. From 2019 through 2021, CQC and investment partners will build a further 210,000 stoves, expanding stove supply to all Provinces and increasing implementing agency partnerships to a range of NGOs and private companies with good working relations with local traditional authorities. Northern Nigeria has the biggest urban firewood markets in Africa and possibly the world. Still, cooking on three stone fires or crude stoves cut from drums comprises the largest share of cooking practices and fuels in Kaduna and Kano, despite high density permanent urban dwellings. In 1989, Ken Newcombe designed a World Bank cooking fuel market transformation project for Northern Nigeria while he was Head of the Technical Advisory business unit for the energy sector in the Bank’s Africa region. Nothing changed in the 30 years between discovering this firewood-dominated urban cooking market and our entering the market in 2009 with the offer of highly efficiency portable firewood burning Cookstoves supported by forward sales of carbon credits in a vibrant compliance carbon market. In 2010, we forged relations with the women owned and led SOSAI renewable energy business an NGO to manage an improved stove program under a Nigeria Efficient Cookstove PoA CQC designed and registered in 2012. A successful 45,000 cookstove program is nearing the end of its carbon supply contract with the Swedish Energy Agency. This project is an investment partnership between CQC and the BioCarbon Group. Fifth verification of the Nigerian cookstove program will start in February 2019. SOSAI Renewable Energies: established and run by Habiba Ali, a well-known Muslim woman entrepreneur in Nigeria and globally, is our partner in the Nigerian Efficient Cookstoves program focused on Kano and Kaduna States. The vast majority of the rural population in Malawi cook on highly inefficient, traditional three-stone fires, often located inside poorly-ventilated kitchens with tiny windows. This not only causes severe household air pollution and chronic health problems but limits economic productivity and imposes a material health burden on women cooks and infant kids. 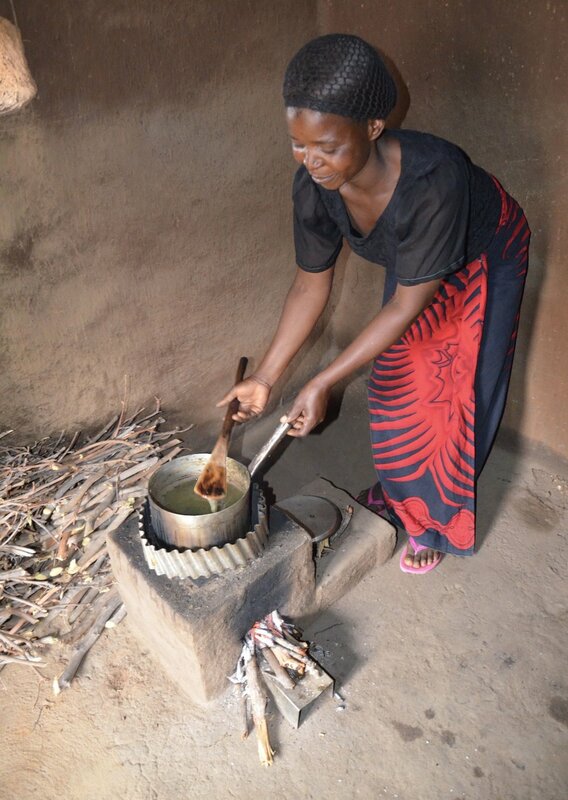 CQC partnered with Total Land Care in 2012 to upgrade TLC’s original mud-brick only cookstove by adding metal parts to lift the thermal efficiency of the stove from 15-16% to 28-32% under field conditions. The TLC Rocket stove, or TLCRS, as it is commonly called, has proven popular and is widely sought after in rural Malawi. We have been constantly improving stove program and training of stove builders and users based on the experience of the our first large scale stove project in Malawi: a 64,000 stove program funded by BioCarbon Group and CQC, with a large Emissions Reductions Purchase Agreement from the Swedish Energy Agency (SEA). The TLCRS has evolved through 7 generations of design and training packages to enable stoves to last at least 7 years with metal parts in generation 8 capable of lasting ten years. TLC-CQC have built about 100,000 stoves since 2013. TLC- CQC partners collaborate closely on all stove projects in Malawi and look forward to the opportunity to extend the program into Mozambique in due course. The partners currently build and register 20,000-25,000 stoves per year on an ongoing basis. Each stove eliminates about ~2.5 tons of CO₂ per year. Total LandCare (TLC), founded in 1999, works to improve the livelihoods of smallholder farmers in the region using community-based approaches to increase agricultural production, food security, and incomes while ensuring sound, sustainable management of natural resources. In 2017, CQC forged an investment partnership with Ecoeye of South Korea to invest in improved cookstoves in Malawi for the Korean compliance market. This first Korean cookstove investment was launched in June 2018 and expanded to 100,000 stoves. It is expected to be completed by June 2019. A further 180,000 stove program for the Korean market will be launched in March 2019 for implementation through early 2021. To meet this expanded demand for improved cookstoves in rural Malawi, CQC has developed its own operating platform in Malawi and for the region and expanded ten-fold its implementing partners. Between 2010 and 2013 CQC made it possible for poor households in India to replace their inefficient incandescent light bulbs (ICL) with CFLs. We distributed more than 8.6 million CFLs in this period. However, CFLs are now an old technology and we are now transitioning to the distribution of leading-edge long-life LED lighting for households in South Asia. Very poor families using incandescent bulbs (ICL) spend as much as 10% of their income on electricity in India. 15 million LEDs avoids the need for 1000 MW of coal-fired power at peak hours for up to 10 years. In 2018 CQC completed a 100,00 LED distribution pilot program to test distribution methods, establish baseline conditions in use of lights in low income households, and to perfect software for data capture on LEDs being provided to millions of households under large-scale distribution programs. This pilot has laid the foundation for large-scale distribution of LEDs in rural and peri-urban areas across India to start mid-2019 to generate emissions reductions for the Korean compliance market. The New Yorker: The L.E.D Quandary: Why There's No Such Thing as "Built to Last"
Incandescent bulbs remain the main form of lighting for low income households in India because they are universally available and cost as little as US 10-15 cents per bulb compared to 200 Rps for LEDs at the remote area retail level (2018). However, ICLs last only 500-1000 hours. 100 million families are estimated still to be using 60-100 watt incandescent bulbs still in peri-urban and rural households across India, despite major government programs for LED distribution. 1000 MW of coal fired power plant avoided at the evening peak: For every 15-20 million LEDs installed in households replacing ICLs. LEDs use approximately 15% of the energy of incandescent bulbs to produce the same amount of light, and last 50 to 100 times longer. CQC has launched a pilot LED distribution program to establish baseline use of various forms of lighting, hours of use of LEDs in high use locations in households, and to test various local brands of LEDs. Full scale distribution will begin in 2019. 130 tons of CO₂e saved by replacing 400 million incandescent bulbs with LEDs. 1/5 of the cost: Electricity cost savings for very poor families from LED use of can be 3-5% of their income. Payback time: It only takes 2-4 months of lower electricity bills from use of LEDs to recover the 15-30 INR per LED bulb cost under a carbon financed program for distribution of LEDs to the poorest consumers. We have embarked on the design of the next generation of efficient lighting, using LEDs instead of CFLs, focused again on base-of-the pyramid consumers still unable to afford the transition from old inefficient but very cheap incandescent light bulbs. LEDs of modest quality retail in Indian in 2016 for 200-150 Rps per 8W bulb, while incandescent bulbs of 60W can be purchased for 10-15 Rps. Overcoming the first cost barrier is, as always, the key financing challenge to transform the provision of lighting services to the poor. We hope to launch a new series of LED lighting projects with Indian utilities and other partners in early 2017. Reliable access to sustainable, affordable energy is one of the most significant economic and social challenges facing developing countries today. This is an especially serious problem for the rural poor in Africa. However, whole African economies are beset by limited power supply through unreliable power grids and the enormous cost to their economies of public and private diesel generation to back up generation shortfall in supply from public utilities. Solar PV and large-scale Lithium Ion battery storage technologies can change this at every level in these economies as they are becoming more affordable every year. Yet the great majority of the rural households and a large portion of urban population of Sub-Saharan countries continue to rely for lighting on kerosene, batteries, candles or the glow of open fires, and on lead acid batteries to charge their cell phones with some vendor selling cell phone charges at up to $0.25 cents per charge. Likewise, cooking on inefficient polluting open fires is the norm for the majority of rural Africans. Open fire cooking also extends deep into burgeoning urban settlements for the lowest income strata across Sub-Saharan countries. Urban populations are in various stages of transition to charcoal, most of the wood for it harvested illegally and made woefully inefficient earthen kilns that use10-15 tons of wood to make one ton of charcoal. As a result, the impact of the transition from cooking with firewood to cooking with charcoal in urban areas is acceleration of deforestation, degradation of arable land and watersheds, reduced food and water security, increased climate vulnerability, and, in turn, greater fragility in sustainable livelihoods for the rural poor. 38% of the world’s population - 2.6 billion people - rely on traditional fossil fuels, usually wood, for cooking and heating. More than 95% of these people live either in Sub-Saharan Africa or in the poorer communities of Asia; 84% of them in rural areas. Lighting with solar power costs half as much as lighting with kerosene but the first cost barrier for the poor and cheap short-lived pico-solar technology blocks or undermines this transition. In Asia a significant proportion of rural households are either grid connected or have small solar panels to provide light and charge batteries, power radios and even TVs. In Sub-Sahar countries this penetration is on average less than 20% and in some countries, such as Malawi and Zambia where CQC works, less than 5%. In sum, the b solar clean energy revolution is yet to reach rural Sub-Saharan Africa on a significant scale despite rapid growth in pico solar sales over the past 5 years. Because renewable energy creates jobs, improves energy security, and reduces greenhouse gas emissions, we are investing in sustainable energy forestry, large and small-scale solar photovoltaic power projects, and distribution of micro-PV household lighting and charging technology for Base-of-the-Pyramid families. We are doing this through two new entities we have helped to form and support in various ways: Energ-G-Africa Households and Energ-G-Africa Commercial and Industrial. Development of a 20MW Grid-Connected Solar PV power plant in Malawi with a minimum of 4 MWhrs and up to 20 MWhrs of storage capacity for delivery into the non-solar production peak hours to displace grid-connected diesel generation. As of February 2018, a Power Purchase Agreement (PPA) is largely agreed with the public utility, and an interconnection agreement is being drafted after in-field technical review in January, 2018. CQC is a member of the Atlas Energies consortium that is developing the solar facility with its engineering partner ib vogt of Germany as an IPP. ib vogt is the leading German solar power developer in developing countries. CQC’s role is as arranger of international partnerships agreements and financing with Atlas Energies, and advisor on power systems planning and development in the dialogue with Government. Atlas has obtained a sovereign guarantee from the Reserve Bank to stand behind Escom and to ensure repatriation of funds. Through a new local Malawian consortium start-up, CQC is supporting development of a pipeline of business to business solar power and energy efficiency solutions to reduce reliance on the grid and improve reliability of power supply to critical manufacturing ventures and vital public facilities, such as hospitals and water supply, during periods of power supply shortages. Through the new entity Energ-G-Africa HH, CQC is supporting its partnership investment in high efficiency cooking with gasifier cookstoves to replace charcoal for cooking in middle class households using sustainable sources of biomass pellet fuels. The UN estimates that only nine percent of rural Ugandans have access to electricity. In rural areas, up to 90% of the energy consumed comes from burning biomass. Wood fires, used for cooking and heating, pollute the environment, cause respiratory disease, and contribute to rapid deforestation. While most of Uganda’s hydropower development has focused on large projects that utilize the waters of the Nile River, small hydropower projects have great potential for meeting the needs of rural communities. One such project is the Ishasha Small Hydropower Project, located on the Ishasha River in Kanungu District, an impoverished, largely undeveloped, mountainous region that is home to more than 205,000 people. The district’s 41,000 households either run inefficient, polluting, and expensive diesel generators or have no electricity at all. The Ishasha Small Hydropower Project provides the people of Kanungu with clean power, enabling them to take advantage of economic opportunities and improve their standard of living without degrading the environment. Developed and managed by Eco Power Uganda Limited (EPUL), the plant generates clean, renewable power for the national grid, which generally relies on the burning of oil. The 29.518 GWh of electricity generated by the Ishasha plant will produce approximately 20,000 certified emission reductions (CERs) annually between 2010 and 2021. We make the project possible by managing the verification process and all CDM communications and actions, from registration to marketing and forwarding of CERs after issuance. We have also made the first ever trade in International Renewable Energy Certificates (IRECs) from the Ishasha hydropower plant. This trade of 6000 IRECs was made early in 2016 through our retail partner, Natural Capital Partners. Eco Power EPUL’s parent company is the Eco Power group in Sri Lanka, a firm specializing in the design, construction and operation of small hydropower plants across Africa and Asia. Launched in Lilongwe in July 2013 as a Joint Venture between us and Total Land Care, and capitalized by us, Total LandCare Green (TLCG) was established to pioneer environmentally and financially sustainable firewood and woody biomass fuel supply to urban and peri-urban consumers. The consumer focus is on “base of the pyramid” households that are struggling with the high price of firewood and charcoal and often cooking less than three meals a day as a result. Current supply of firewood and charcoal to Lilongwe and Malawian towns and cities in general is from illegally harvested firewood, increasingly from watershed reserves and protected areas as trees in agricultural land are depleted and there are no natural forests outside of reserves near big cities. The crisis in biomass cooking fuel supply is acute, with watersheds so depleted for Lilongwe that water supply to the city is threatened. Decades of supply of firewood from the remaining stands and saw log residues in the 54,000 ha Viphya pine forest, 5 hours to the North, are drawing down to a trickle as the Viphya forest is depleted and remaining standing forests are tightly policed by the few private sector owners. TLCG’s challenge is to compete with “free wood” harvested illegally and processed into stick wood, carried on bikes for up to 50 kms to Lilongwe and delivered door to door or through market intermediaries across the city. Charcoal is also produced from stolen wood and bears no resource cost, making commercial production of charcoal financially inviable, except in exceptional circumstances on a small scale. After many failed attempts to deliver chunked and chipped wood, TLCG reverted to procuring stick wood from sustainable sources and launching its own door-to-door vendor network to pilot this market model. Pilot level results with 5 bike vendors have been promising, but scaling up is financially and logistically challenging. In 2014, TLC accepted our proposal to offer a firm price for sustainably grown stick wood near to the villages where TLC has been supporting for many years sustainable on farm forestry. Irish Aid agreed to support this business model on a pilot basis. By May 2016, many of the 25 TLC serviced villages were delivering stick wood cut to TLCG specifications from woodlots and on-farm coppiced and pollarded trees under TLC seed supply and silviculture advice. By October 2016, this supply reached 8 tons per week delivered to a fixed weekly TLCG Truck pick up point 10-15kms from the villages and 20-25kms from Lilongwe. Villagers are pleased with the new cash cropping opportunity and are increasing production under TLC’s supervision. To expand beyond 5% of Lilongwe’s firewood needs however, significant concessional finance from development agencies or social impact investors to underwrite the expansion of warehousing and transportation infrastructure needed to sell the wood on in many small depot outlets to women retailers while keeping margins low enough to compete with usually higher quality hardwood illegally harvested in the hinterland. We and TLC are working on outreach to such concessional financiers to take this exciting model to scale. Generally speaking, 5% of the land within 50kms of Lilongwe can supply the firewood needs of the city sustainable. This rule of thumb applies to many cities of the size of one million inhabitants or so across Africa. The TLCG pilot is the first successful demonstration of sustainable smallholder firewood supply we know of and deserves much larger scale support. While any significant natural wood remains, and enforcement against illegal harvesting is weak, investment on by the private in large scale small-holder supplied supply will not be sufficiently profitable to compete with illegal suppliers. We registered a series of small-scale hydropower projects (SHP) in Sri Lanka with the UN’s Clean Development Mechanism and continues to manage the CDM assets. Seven small-scale, run-of-river hydropower projects are grouped in three CDM projects to replace diesel- and oil-based power generation in the Sri Lankan grid. These projects together have a projected annual power output of 133.9 GWh/year and a potential annual production of 104,130 CERs/year. The success of the projects and their registration with the CDM helped spark development of other similar projects in Sri Lanka. As a result, there is currently over 175 MW of small-scale hydropower capacity in Sri Lanka and an additional 175 MWs slated for development by 2020. Eco Power, a privately held Sri Lankan company established in1997, owns and operates ten SHP plants in Sri Lanka with a combined installed capacity of 36 MW. We are using carbon markets to support implementation of a series of grid-connected solar photovoltaic projects in Northern Chile that will provide clean, carbon-free electricity to the Chilean market. To this end, we have entered into a partnership with First Solar to pioneer the monetization of carbon emissions reductions in the First Solar 140MW solar PV commissioned in 2016 and now in full scale operation. The project takes advantage of the world class insolation in Chile’s northern desert. The commercial goal of this solar PV program is to balance the mining industry’s skyrocketing need for electricity with the country’s concern for environmental sustainability, reducing the need for imported coal for power supply to the mining industry. Grid-connected solar PV in Chile also supports the federal government’s policy of having 10% of all electricity in northern Chile come from renewable sources, even when they are more expensive than coal; carbon finance reduces cost of policy. Solar Chile Builds, operates and maintains solar power plants in Chile. Valor Sustentable specializes in environmental projects involving energy efficiency, industrial ecology, sustainability strategy, carbon and water management and solar power. In 2017, CQC managed the first verification of Certified Emissions Reductions from the First Solar Facility, achieving issuance of 247,000 CERs in November 2017. CQC has launched pilot projects to produce and market high density natural shell fuels and crop residue pellets used in forced draft gasifier stoves to be used as an alternative to high priced polluting charcoal and imported LPG for cooking. In Phnom Penh our fuels supply partnership is with charcoal briquette maker, SGFE, which produces cleaned dry coconut shells bagged under our FastFire brand. However, coconut shells are in short supply as Vietnamese traders buy it for activated carbon production. Hence CQC and partners are exploring rice-husk pellet production as a mainstream pellet fuel. In Malawi, through our Energ-G-Africa partnership, we are helping to finance the supply of Mimi Moto stoves to utilize locally made crop residue pellets to replace charcoal for middle income families in Lilongwe. A fully commercial scale pilot starts in March 2018. These trials are promising in terms of consumer appreciation of the modern fast cooking alternative cookstove technology and fuel price reductions but are constrained by the high first costs of cookstoves. CQC is persevering as charcoal is a hugely damaging fuel source, causing destruction of forests, watersheds and fertile agricultural landscapes. Prices of charcoal continue to rise as urbanization proceeds and charcoal becomes the fuel of choice for more than half of all urban dwellers in Sub-Saharan Africa. By contrast crop residues are produced and wasted in huge volumes each year and represent in energy terms the equivalent of charcoal use in most countries. Click on the photos to enlarge and view captions. To download the photos, click on the photo to enlarge, and right click and "save image as". CFL Lighting Scheme - "Bachat Lamp Yojana"